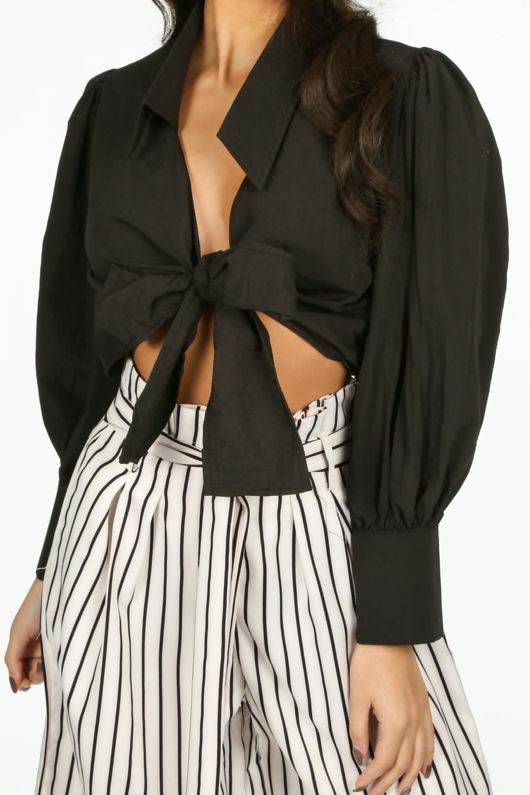 For those jeans and nice top outfits, choose the Black Tie Front Cropped Shirt. 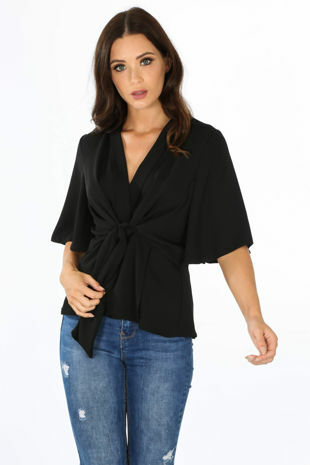 This cute blouse has long, puff ball sleeves, a classic collar and a tie front. 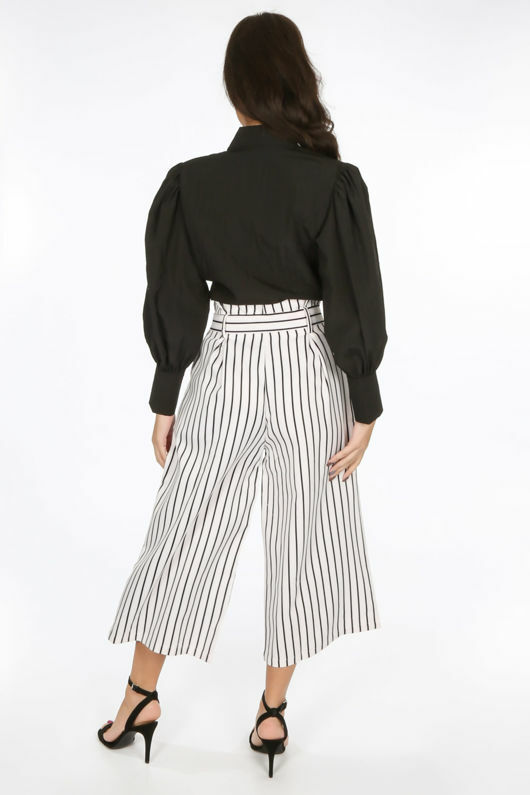 It works for both day and night, we love it styled with skinny jeans and a pair of flat shoes, swap the flats for heels for a more dressed up look.